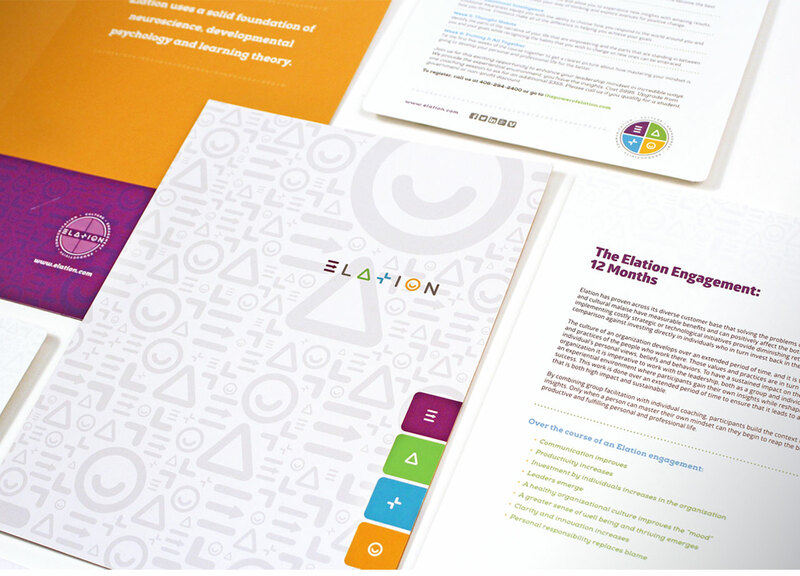 An evolution of the workplace, Elation believes how you think is more important than what you know. By challenging people to think differently and open themselves up to new possibilities, they aim to raise productivity and bring joy back to work. 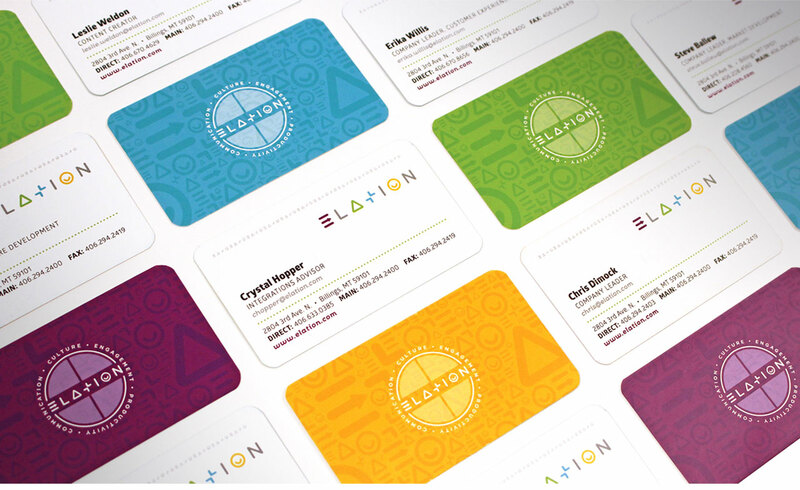 Through Extraction, A.D. guided Elation in developing new messaging to help potential customers understand and embrace this new concept. 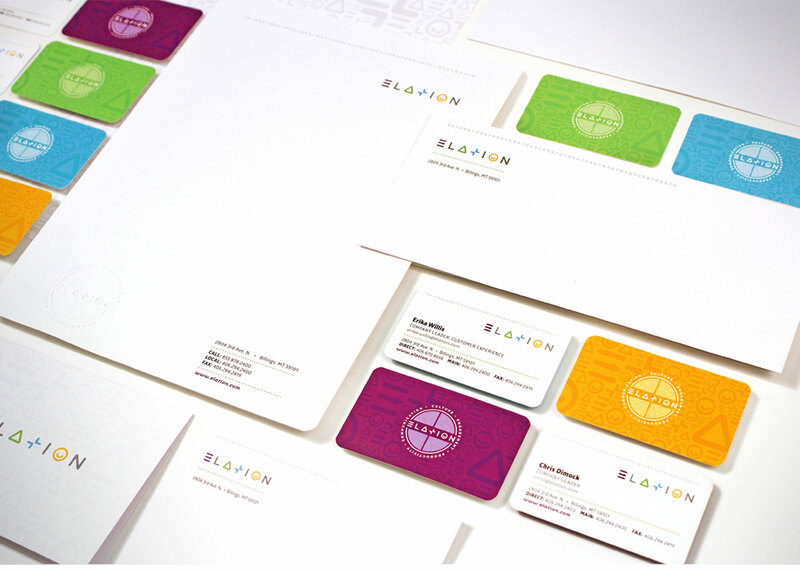 We also developed a new identity that is friendly and approachable, but also conveys the depth of what Elation offers. 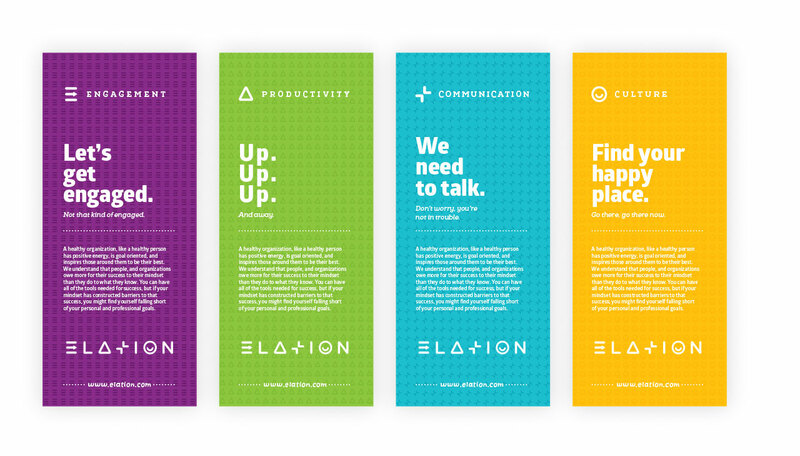 An energetic color palette and a custom language of icons brings that goal to life across the web, marketing collateral and their office space.